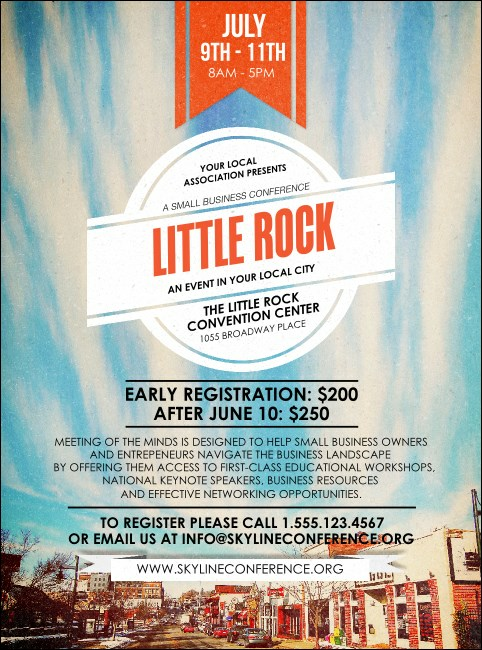 Promote your next event with true Southern pride when you print Little Rock Flyers and advertise your Capital City event in advance. Rock your guest attendance in Rock Town with Flyers that feature the image of a local neighborhood on a beautiful, sunny day and twenty-one lines of custom text. TicketPrinting.com helps you rock your event attendance!